SIMFEROPOL, November 25. /TASS/. 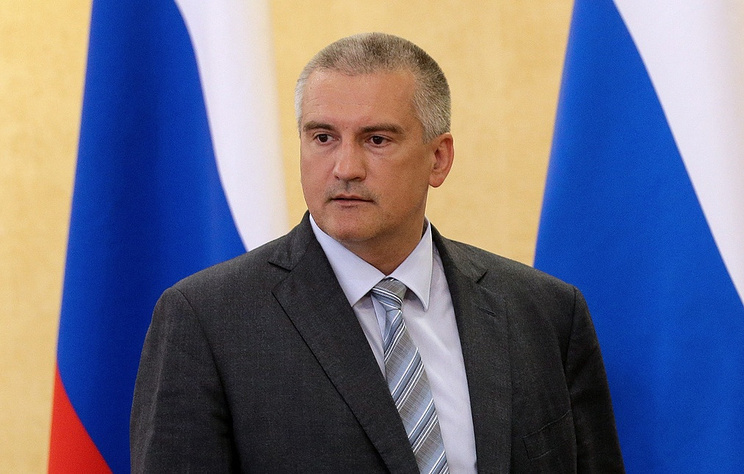 Western countries are behind the provocation of Ukrainian warships in the Black Sea, which intruded into Russia’s territorial waters, head of the Republic of Crimea Sergei Aksyonov said on Sunday. "Today, Ukrainian warships illegally crossed Russia’s border and blatantly violated norms of international law. I am sure Western patrons of the Kiev regime are behind this provocation - it doesn’t look a mere coincidence that European and American politicians have been so concerned over the situation in the Sea of Azov in the recent months. Ukraine, as a country stripped of sovereignty and being under external governance, is an instrument for whipping up international tensions," he wrote on his Facebook account. He stressed that responsibility for the incident rests on Kiev. "It will be Ukraine’s interests to be impacted by such actions, as it was after the seizure of the Nord ship’s crew," he noted. He did not rule out that such provocation could be continues but reassured that it would not tell on Crimea’s everyday life. "I think hysterics and provocations on the part of the neighboring country will continue as long as the Russophobic regime controlled from abroad rules in Kiev," he noted. "I would like to reassure people living in Crimea that such pathologic activities will in no way impact the peaceful life on our peninsula. Crimea’s security is safeguarded duly and reliably." 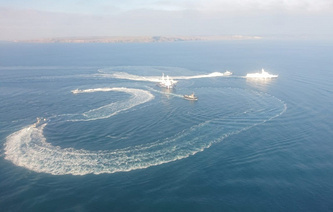 Earlier on Sunday, the Russian Federal Security Service’s Border Service in Crimea reported that three Ukrainian warships had illegally crossed Russia’s state border entering its territorial waters, and were carrying out dangerous maneuvers. The ships are heading to the Kerch Strait. The Border Service is taking measures to ensure safe navigation and regulate the movement of ships in the Black Sea, the Sea of Azov and the Kerch Strait. Director General of Crimea’s seaports, Alexei Volkov, told TASS that the Kerch Strain has been closed for civil navigation for security considerations.